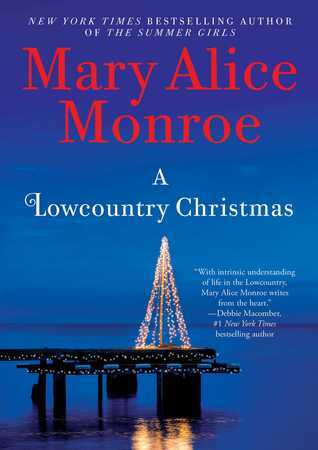 A Lowcountry Christmas is book 5 in Mary Alice Monroe's Lowcountry Summer series but instead of being a continuation of the story, it's a prequel and can be read as a stand-alone without any confusion. I love Mary Alice Monroe's books and I really enjoyed this series so I was thrilled that there would be another book in the series. This is Taylor's story about his life before he married Harper. When Taylor returned from Afghanistan, he had PTSD and couldn't cope with life. His younger brother was afraid of him and his moods and inaction were making life difficult for the family. What the family thought would be one of the best Christmases ever because Taylor was home, quickly turned into one of the worst for his 10-year-old brother Miller. Their dad's shrimp boat was docked and their mom was working two jobs and all Miller wanted for Christmas was a puppy. He was told that there was no money to feed a dog and when Taylor received his service dog, Miller was really angry. After Taylor received a service dog from Pets for Vets (a real group who helps vets), his life and his attitude toward life began to slowly change. But would he be able to help Miller and his family have a good Christmas?? As always, Mary Alice writes lovingly about the South Carolina Lowcountry. When you read her books, you can smell the ocean and feel the ocean breeze. She is also an avid conservationist and this is reflected in her books. Her love of animals shines through in her descriptions of Thor, Taylor's service dog.